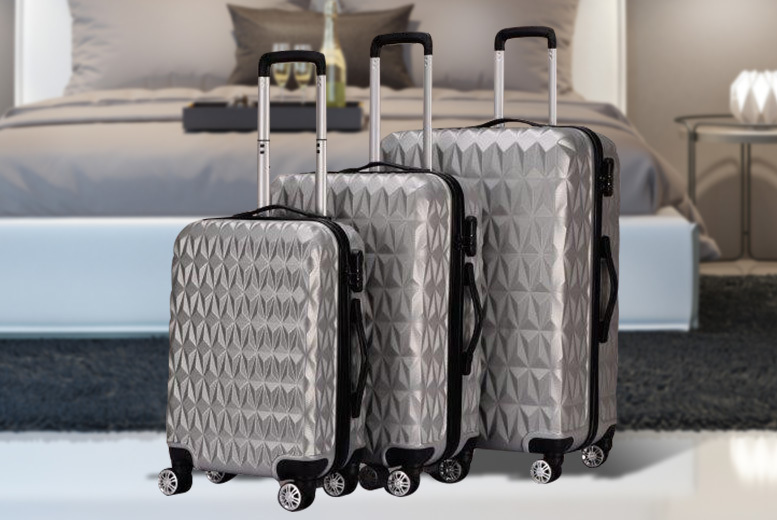 Get ready for your holiday with a stylish new luggage set! In a hard-shell design to protect your belongings. With an extendable handle and wheels for manoeuvrability. Comes in two colours: champagne, or silver.